How important is the condition of my toothbrush? As a cosmetic dentist in Manhattan, New York, we see a wide variety of patients. From complete smile makeovers, to people seeking porcelain veneers, and every aspect of cosmetic dentistry. We also see "regular" patients for cleaning, and routine dental care. A common questions that patients ask me is about toothbrushes. Electric ? Regular ? Hard bristle or soft. The list goes on and on. Rarely do people ask me how often they should replace their toothbrush. I have accumulated these interesting facts below to enlighten my readers about the importance of replacing their toothbrush on a regular basis. A single toothbrush can harbor millions of microorganisms, which translate into harmful bacteria - bacteria that thrive in the warm, moist environment of the average bathroom. That's millions of microscopic bugs that can cause flu, colds and other illnesses created in minutes! A number of studies suggest that oral heath is associated with general health. Advanced gum disease has been linked to heart disease, diabetes, premature delivery in pregnant women, and stroke. Researchers have found more than 10,000,000 bacteria living on a single toothbrush. Tooth decay is caused by the bacteria that can survive on toothbrushes. Viruses that cause colds, flu, and fever blisters can survive for many days on toothbrushes. USA Today Health Review for April 27, 2000 reported: "The most serious threat to your everyday health may be hanging in plain sight in your bathroom." Influenza (the flu) virus, herpes simplex I, streptococci, staphylococci, yeasts, and the bacteria that cause gum disease, cavities, and even intestinal illness can survive --some even thrive-- in high numbers on toothbrushes. Some researchers have even found bio-film-- colonies of breeding bacteria-- on toothbrushes, and numbers as high as 100,000,000 microorganisms have been recovered from individual brushes. Because most people keep their toothbrushes in the bathroom, bacteria from the mouth aren't the only contaminant. Flushing propels germs from the toilet into the air, where they can land on toothbrushes. Because toothbrushes are usually stored together, the contact between family members' toothbrushes can spread germs from one brush to another. Bacteria, molds, and fungi love moist environments, like the bathroom. They also do well in the dark, so the medicine cabinet provides an ideal environment for germs to survive and even multiply. 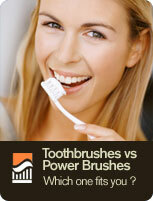 The ADA and most dentists recommend changing toothbrushes only every three to four months. However, some sources report that most American's are likely to change their toothbrushes only twice a year. What can you do to kill the bacteria? Numerous studies have shown ultraviolet light to be effective in killing germs on toothbrushes. UV toothbrush sanitizers are able to kill many of the bacteria, yeasts, and viruses. A study performed by Dr. Philip Tierno, Jr., PhD, Director Clinical Microbiology and Immunology at New York University Medical Center, on the VIOlight Toothbrush Sanitizer found that the it eliminated up to 99.9% of bacteria tested on toothbrushes. Bringing over a decade of experience to his cosmetic practices spanning the Northeast, Dr. Connelly recently opened his practice in Manhattan at the office of Dr. Torrado on Central Park South while his new luxurious office is under construction in Mid-town Manhattan. Dr.Connelly's work spans many generations and walks of life. Moms, corporate executives, celebrities, professional athletes, runway models - Dr. Connelly has built his reputation by inviting everyone into his practices. Dr. Connelly received his dental training at the Mayo Clinic, the University of Detroit Mercy and Louisiana State University. Dr. Connelly has also served a clinical instructor at Harvard University dental school inBoston. After practicing with Marc Lowenberg and Gregg Lituchy in Manhattan, Dr. Connelly expanded his cosmetic dental practice to Boston, MA, Providence, RI, and Manchester, NH.